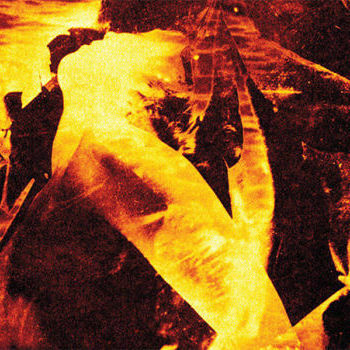 Eyeless in Gaza have had several trajectories since their original lo-fi outings in Coventry and Nuneaton in the early 1980s. The duo of Peter Becker and Martyn Bates seemed to be heading towards pop at one point, but en route diverted through textural soundscapes, improvisation, avant-folk, sonic experiment and occult rock; indeed, they still visit these places. Picture the Day is a well-overdue compilation that actually covers all the band’s output, including both the Cherry Red releases from the 1980s and the self-released albums on Ambivalent Scale that have been issued since the 1990s. The story of course starts with Ambivalent Scale and a 7 inch single, following some cassette releases. The edgy, synth-driven ‘Kodak Ghosts Run Amok’ is tucked away here in the middle of the first CD (unfortunately the superb ‘Feeling’s Mutual’ from the B-side isn’t) which selects from the band’s Cherry Red releases. Listeners are edged into the music with some of the more accessible end of things, a quick drift through some folkier songs and then the gorgeous emotive instrumental ‘Falling Leaf/Fading flower’ before restlessly moving on, from genre to genre, or more often falling between genres. The second CD features the Ambivalent Scale recordings, and is a similar mix of work. If more recent work isn’t as familiar to me it’s mainly due to growing up and not being able to spend time with new music in the same way that being a teenage and then a student previously facilitated with the original LPs. It’s clear I need to get my act together and have a relisten – this stuff is great. Together, the two CDs paint a broad, involving picture of this peculiar and engaging band. I like the fact it in no way pretends to be a ‘best of’ or ‘greatest hits’, but simply showcases some of the highlights from their numerous releases. I’d like to have seen the uplifting brassy pop of ‘Sun Bursts In’ here, but otherwise it is a perfect snapshot of one of my favourite bands, lovingly compiled and superbly sequenced. Eyeless’ new CD, Sun Blues, shares one track, ‘Tamarisk’ with Picture the Day and is a set of new music from the more experimental end of things. Having said that it’s more about mood and texture than the wild excesses of the band’s early output, although ‘Ill-Star’ is intense and loud, with some great honking sax in the pulverising maelstrom of sound. Elsewhere, Martyn Bate’s warm vocals are positioned within rich, dense music that both propels and entwines the songs and the listener. There are also three instrumental vignettes, two back to back in the centre of the album, the third a coda or finale. It takes some time to truly ‘hear’ the layers and complexities of this album, in the same way it takes time to grasp the width, breath and achievement of Eyeless in Gaza’s musical history. 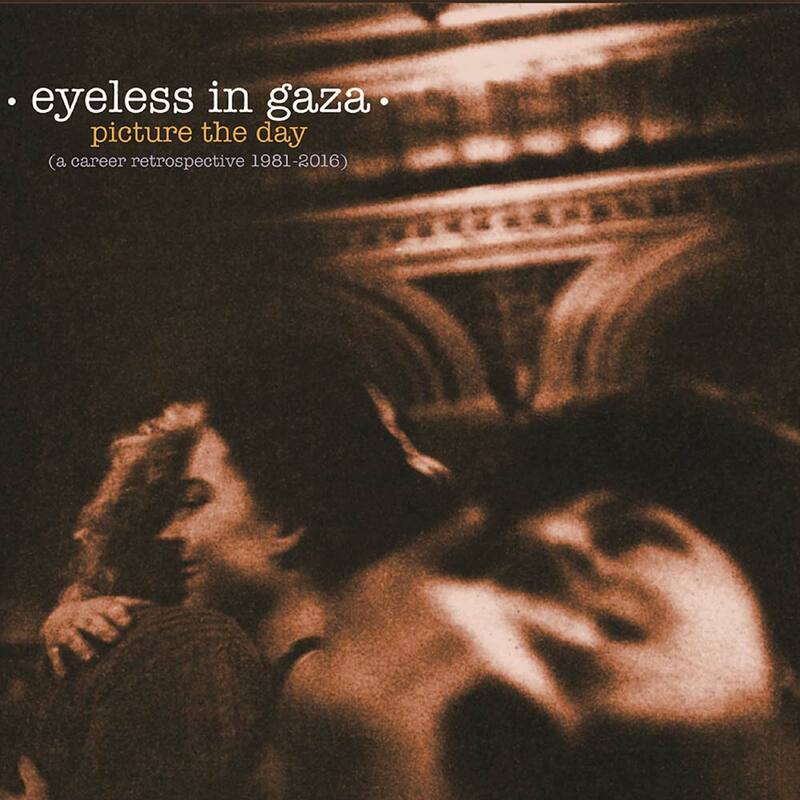 But time spent will be rewarded: Eyeless in Gaza remain one of the most accomplished and interesting bands to have emerged from the music-making underground post punk and postpunk. Here’s to further decades of experiment and beguilement. This entry was posted on 17 November, 2016 in homepage and tagged eyeless in gaza, Martyn Bates, Peter Becker, Picture the Day, Rupert Loydell, Sun Blues. Bookmark the permalink.